Please enter a value between 30 and 85. A very attractive frame - with much better and easier to install grommets (2015's were the worst). The new FSI pattern is a touch wider, but nothing extreme like the difference between an Aero Pro Drive and a Pure Aero. Cortex is completely moved to inside the handle. 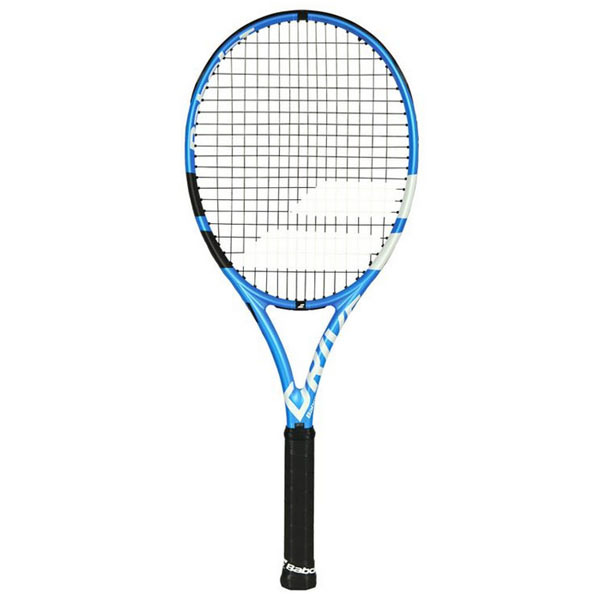 Designated short-side stringing, identical buttcap and Syntec Pro grip all remain the same from the previous model. The latest release of the Pure Drive Line, this frame has materials borrowed from the cycling industry and does play a little softer and more comfortable in our play testing, but seemingly has all of the power potential of the last model. We feel that this 2018 Pure Drive is very well done and will attract a larger audience of players.